The following fees are due in full at the time of application and are required to reserve an apartment. Hacienda Club Apartments will accept payment by check, certified funds, or major credit card for all application and reservation fees. Hacienda Club Apartment will accept personal checks, certified funds or electronic ACH payments via the self-service Resident Portals. If distinctive, upscale living is what you’re looking for, there’s no need to look any further! Hacienda Club offers stunning views and first-class amenities unforeseen in apartment home living. Our distinctive design and stylish Mediterranean Riviera décor is evident throughout the community. 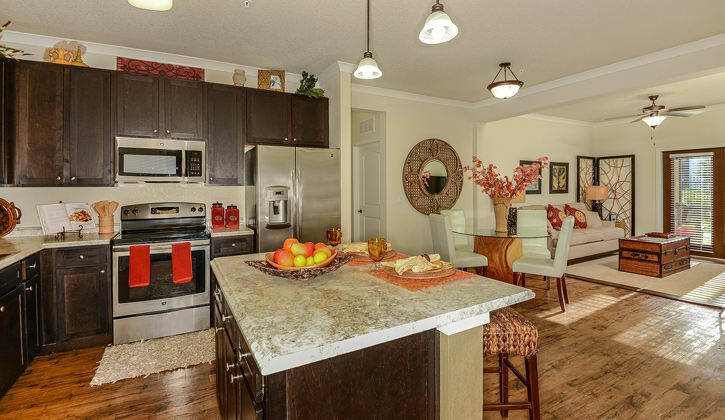 Residents have ten floor plans including our deluxe Provence Carriage homes to choose from. The hardest part just might be picking which one you love the most!